Eugenics (; from Greek εὐγενής eugenes "well-born" from εὖ eu, "good, well" and γένος genos, "race") is the belief and practice of improving the genetic quality of the human population. It is a social philosophy advocating the improvement of human genetic traits through the promotion of higher reproduction of people with desired traits (positive eugenics), and reduced reproduction of people with less-desired or undesired traits (negative eugenics). Francis Galton was a pioneer in eugenics, coining the term itself and popularizing the collocation of the words "nature and nurture". The idea of eugenics existed previous to the existence of the word eugenics; for example, William Goodell (1829-1894) advocated the castration and spaying of the insane. However, eugenics as a modern concept was originally developed by Francis Galton. 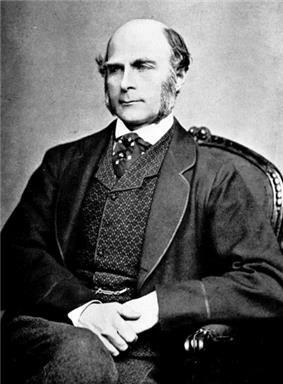 Galton had read his half-cousin Charles Darwin's theory of evolution, which sought to explain the development of plant and animal species, and desired to apply it to humans. Galton believed that desirable traits were hereditary based on biographical studies. In 1883, one year after Darwin's death, Galton gave his research a name: eugenics. Throughout its recent history, eugenics has remained a controversial concept. The LaFollette's and Westman's plans. Hugh LaFollette argued that the parents unfit to rear children should not have children, and all couples should be required to obtain a licence certifying their competence in child rearing before they are permitted to have children. John Westman repeated LaFollette's arguments and added few details to the proposal. D'Souza, Dinesh (1995). The End of Racism: Principles for a Multicultural Society. New York: Free Press. Galton, David (2002). Eugenics: The Future of Human Life in the 21st Century. London: Abacus. Joseph J (June 2005). "The 1942 'euthanasia' debate in the American Journal of Psychiatry". History of Psychiatry 16 (62 Pt 2): 171–9. Joseph, Jay (2006). The Missing Gene: Psychiatry, Heredity, and the Fruitless Search for Genes. New York: Algora. Kerr, Anne; Shakespeare, Tom (2002). Genetic Politics: from Eugenics to Genome. Cheltenham: New Clarion. Maranto, Gina (1996). Quest for perfection: the drive to breed better human beings. New York: Scribner. Ordover, Nancy (2003). American Eugenics: Race, Queer Anatomy, and the Science of Nationalism. Minneapolis: University of Minnesota Press. Smith, Andrea (2005). Conquest : sexual violence and American Indian genocide. Cambridge, Massachusetts: South End Press. Wahlsten D (1997). "Leilani Muir versus the philosopher king: eugenics on trial in Alberta". Genetica 99 (2-3): 185–98. Ewen, Elizabeth; Ewen, Stuart (2006). Typecasting: On the Arts and Sciences of Human Inequality (1st ed.). New York: Seven Stories Press. Gillette, Aaron (2007). The Nature-Nurture Debate in the Twentieth Century. New York: Palgrave Macmillan. Carlson, Elof Axel (2001). The Unfit: A History of a Bad Idea. Cold Spring Harbor NY: Cold Spring Harbor Press. Farrall, Lyndsay (1985). The origins and growth of the English eugenics movement, 1865–1925. Garland Pub. Largent, Mark (2008). Breeding Contempt: The History of Coerced Sterilization in the United States. New Brunswick: Rutgers University Press. United States Holocaust Memorial Museum (2004). "Deadly medicine: creating the master race". Wyndham, Diana (2003). Eugenics in Australia : striving for national fitness. London: Galton Institute. ^ "Eugenics". Unified Medical Language System (Psychological Index Terms). National Library of Medicine. 26 September 2010. ^ a b "Eugenics: Immigration and Asylum from 1990 to Present". Retrieved 2013-09-23. ^ Watson, James D.; Berry, Andrew (2009). DNA: The Secret of Life. Knopf. ^ Allen, Garland E. (2004). "Was Nazi eugenics created in the US?". EMBO Reports 5 (5): 451–2. ^ Barrett, Deborah; Kurzman, Charles (October 2004). "Globalizing Social Movement Theory: The Case of Eugenics". Theory and Society 33 (5): 487–527. ^ Hawkins, Mike (1997). Social Darwinism in European and American Thought. New York: Cambridge University Press. pp. 62, 292. ^ "The National Office of Eugenics in Belgium". Science 57 (1463): 46. 12 January 1923. ^ dos Santos, Sales Augusto; Hallewell, Laurence (January 2002). "Historical Roots of the 'Whitening' of Brazil". Latin American Perspectives 29 (1): 61–82. ^ McLaren, Angus (1990). Our Own Master Race: Eugenics in Canada, 1885–1945. Toronto: Oxford University Press. ^ a b James, Steve. "Social Democrats implemented measures to forcibly sterilise 62,000 people". World Socialist Web Site. International Committee of the Fourth International. ^ "Charter of Fundamental Rights of the European Union: Article 3, Section 2". ^ Johnson, Corey G (June 20, 2014). "Calif. female inmates sterilized illegally". ^ Nesher, Taliler. "Israel admits Ethiopian women were given birth control shots". ^ Dawber, Alistair. "Israel gave birth control to Ethiopian Jews without their consent". ^ Epstein, Charles J (1 November 2003). "Is modern genetics the new eugenics?". Genetics in Medicine 5 (6): 469–475. ^ Tania Simoncelli, "Pre-Implantation Genetic Diagnosis and Selection: from disease prevention to customised conception", Different Takes, No. 24 (Spring 2003). http://genetics.live.radicaldesigns.org/downloads/200303_difftakes_simoncelli.pdf Retrieved on Sept. 18, 2013. ^ Comfort, Nathaniel. The Science of Human Perfection: How Genes Became the Heart of American Medicine. New Haven: Yale University Press. ^ "Correspondence between Francis Galton and Charles Darwin". Galton.org. Retrieved 2011-11-28. ^ "The correspondence of Charles Darwin, volume 17: 1869". Darwin Correspondence Project. University of Cambridge. Retrieved 2011-11-28. ^ Lester Frank Ward; Emily Palmer Cape; Sarah Emma Simons (1918). "Eugenics, Euthenics and Eudemics". Glimpses of the cosmos. G. P. Putnam's sons. pp. 382–. Retrieved 11 April 2012. ^ "Galton and the beginnings of Eugenics" James Watson speaks about Galton. ^ Haldane, J. (1940). "Lysenko and Genetics". Science and Society 4 (4). ^ A discussion of the shifting meanings of the term can be found in Paul, Diane (1995). Controlling human heredity: 1865 to the present. New Jersey: Humanities Press. ^ Black, Edwin (2004). War Against the Weak. Thunder's Mouth Press. p. 370. ^ Salgirli SG (July 2011). "Eugenics for the doctors: medicine and social control in 1930s Turkey". Journal of the History of Medicine and Allied Sciences 66 (3): 281–312. ^ Pine, Lisa (1997). 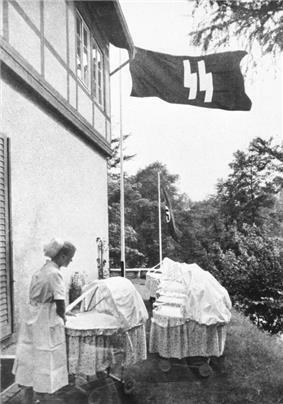 Nazi Family Policy, 1933–1945. Berg. pp. 19–. ^ Let's (Cautiously) Celebrate the "New Eugenics", Huffington Post, (Oct. 30, 2014). ^ Flaws in Eugenics Research, by Garland E. Allen, Washington University. http://www.eugenicsarchive.org/html/eugenics/essay5text.html retrieved on Oct. 03, 2013. ^ Scientific Origins of Eugenics, Elof Carlson, State University of New York at Stony Brook. http://www.eugenicsarchive.org/html/eugenics/essay2text.html Retrieved on Oct. 03, 2013. ^ Lynn 2001. 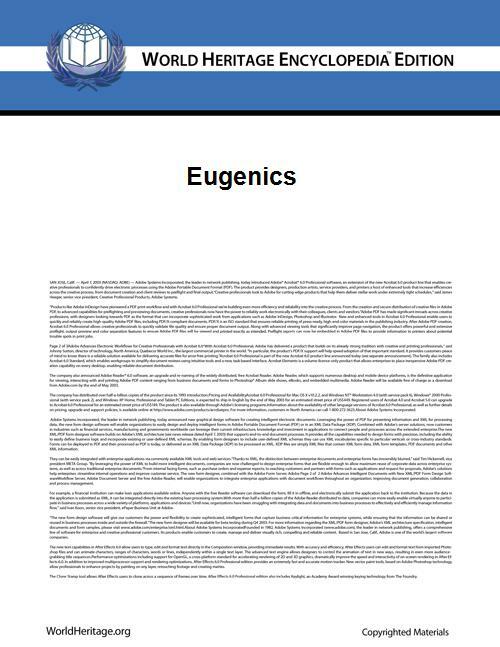 The Ethical Principles of Classical Eugenics – Conclusions P. 241 "A number of the opponents of eugenics have resorted to the slippery slope argument, which states that although a number of eugenic measures are unobjectionable in themselves, they could lead to further measures that would be unethical." ^ Hayman, Robert L. (1990). "Presumptions of justice: Law, politics, and the mentally retarded parent". Harvard Law Review 103 (6): 1209. ^ a b Miller, Edward M. (1997). "Eugenics: Economics for the Long Run". Research in Biopolitics 5: 391–416. ^ Williams CC (2005). "In search of an Asperger". In Stoddart KP. Children, Youth and Adults with Asperger Syndrome: Integrating Multiple Perspectives. Jessica Kingsley. pp. 242–52. ^ Baron-Cohen S (2008). "The evolution of brain mechanisms for social behavior". In Crawford C, Krebs D (eds.). Foundations of Evolutionary Psychology. Lawrence Erlbaum. pp. 415–32. ^ a b http://www.drze.de/in-focus/predictive-genetic-testing/modules/heterozygote-test-screening-programmes |Heterozygote test / Screening programmes, German Reference Centre for Ethics in the Life Sciences, (Last retrieved Nov. 28, 2014). ^ "Winston Churchill and Eugenics". The Churchill Centre and Museum. 2009-05-31. Retrieved 2011-11-28. ^ Margaret Sanger, quoted in Katz, Esther; Engelman, Peter (2002). The Selected Papers of Margaret Sanger. Champaign, IL: University of Illinois Press. p. 319. ^ Franks, Angela (2005). Margaret Sanger's eugenic legacy. Jefferson, NC: McFarland. p. 30. ^ a b Jacky Turner, Animal Breeding, Welfare and Society Routledge, 2010. ISBN 1844075893, (p.296). ^ "Judgment At Pasadena", Washington Post, March 16, 2000, p. C1. Retrieved on March 30, 2007. ^ Gordon, Linda (2002). The Moral Property of Women: A History of Birth Control Politics in America. University of Illinois Press. p. 196. ^ Keynes, John Maynard (1946). "Opening remarks: The Galton Lecture". ^ Okuefuna, David. "Racism: a history". ^ Ferrante, Joan (1 January 2010). Sociology: A Global Perspective. Cengage Learning. pp. 259–. ^ Turda, Marius (2010). "Race, Science and Eugenics in the Twentieth Century". In Bashford, Alison; Levine, Philippa. The Oxford Handbook of the History of Eugenics. Oxford University Press. pp. 72–73. ^ "Consumption: Its Cause and Cure" An Address by Dr Halliday Sutherland on 4th September 1917, published by the Red Triangle Press. ^ "Criticism of Eugenics". Image Archive on the American Eugenics Movement. Dolan DNA Learning Center and Cold Spring Harbor Laboratory. Among institutions, the Catholic Church was an early opponent of state-enforced eugenics. In his 1930 encyclical Casti Connubii, Pope Pius XI explicitly condemned eugenics laws: "Public magistrates have no direct power over the bodies of their subjects; therefore, where no crime has taken place and there is no cause present for grave punishment, they can never directly harm, or tamper with the integrity of the body, either for the reasons of eugenics or for any other reason." The American sociologist Lester Frank Ward, the English writer G. K. Chesterton, the German-American anthropologist Franz Boas, and Scottish tuberculosis pioneer and author Halliday Sutherland were all early critics of the philosophy of eugenics. 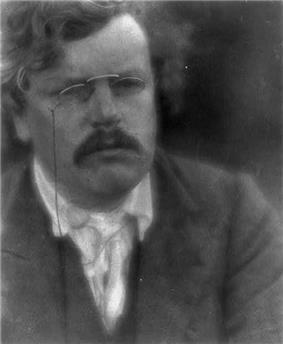 Ward's 1913 article "Eugenics, Euthenics, and Eudemics", Chesterton's 1917 book Eugenics and Other Evils, and Boas' 1916 article "Eugenics" (published in The Scientific Monthly) were all harshly critical of the rapidly growing movement. Sutherland identified eugenists as a major obstacle to the eradication and cure of tuberculosis in his 1917 address "Consumption: Its Cause and Cure", and criticism of eugenists and Neo-Malthusians in his 1921 book Birth Control led to a writ for libel from the eugenist Marie Stopes. Several biologists were also antagonistic to the eugenics movement, including Lancelot Hogben. Other biologists such as J. B. S. Haldane and R. A. Fisher expressed skepticism that sterilization of "defectives" would lead to the disappearance of undesirable genetic traits. At its peak of popularity, eugenics was supported by a wide variety of prominent people, including John Maynard Keynes, John Harvey Kellogg, Robert Andrews Millikan, Linus Pauling, and Sidney Webb. Its most infamous proponent and practitioner was Adolf Hitler, who praised and incorporated eugenic ideas in Mein Kampf and emulated eugenic legislation for the sterilization of "defectives" that had been pioneered in the United States. Recessive traits can be severely reduced, but never eliminated unless the complete genetic makeup of all members of the pool was known, as aforementioned. As only very few undesirable traits, such as Huntington's disease, are dominant, it could be argued from certain perspectives that the practicality of "eliminating" traits is quite low. Autistic people have advocated a shift in perception of autism spectrum disorders as complex syndromes rather than diseases that must be cured. Proponents of this view reject the notion that there is an "ideal" brain configuration and that any deviation from the norm is pathological; they promote tolerance for what they call neurodiversity. Baron-Cohen argues that the genes for Asperger's combination of abilities have operated throughout recent human evolution and have made remarkable contributions to human history. The possible reduction of autism rates through selection against the genetic predisposition to autism is a significant political issue in the autism rights movement, which claims that autism is a form of neurodiversity. A common criticism of eugenics is that "it inevitably leads to measures that are unethical". Historically, if one racial minority group was perceived on average less intelligent than another racial majority group, then it was more likely that the racial minority group was submitted to a eugenics program rather than the least intelligent members of the whole population. H. L. Kaye wrote of "the obvious truth that eugenics has been discredited by Hitler's crimes". R. L. Hayman argued that "the eugenics movement is an anachronism, its political implications exposed by the Holocaust". Jon Entine claims that eugenics simply means "good genes" and using it as synonym for genocide is an "all-too-common distortion of the social history of genetics policy in the United States." According to Entine, eugenics developed out of the Progressive Era and not "Hitler's twisted Final Solution." Eugenic policies have been conceptually divided into two categories. Positive eugenics is aimed at encouraging reproduction among the genetically advantaged; for example, the reproduction of the intelligent, the healthy, and the successful. Possible approaches include financial and political stimuli, targeted demographic analyses, in vitro fertilization, egg transplants, and cloning. Negative eugenics aimed to eliminate, through sterilization or segregation, those deemed physically, mentally, or morally "undesirable". This includes abortions, sterilization, and other methods of family planning. Both positive and negative eugenics can be coercive; abortion for fit women, for example, was illegal in Nazi Germany. Eugenics also had a place in medicine. 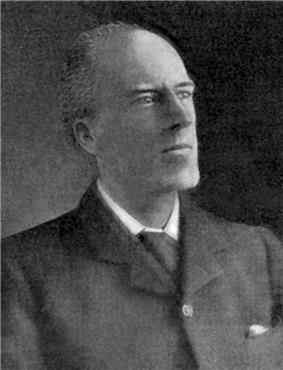 In his lecture "Darwinism, Medical Progress and Eugenics", Karl Pearson said that everything concerning eugenics fell into the field of medicine. He basically placed the two words as equivalents. He was supported in part by the fact that Francis Galton, the father of eugenics, also had medical training. Eugenics has also been concerned with the elimination of hereditary diseases such as hemophilia and Huntington's disease. However, there are several problems with labeling certain factors as genetic defects. In many cases, there is no scientific consensus on what constitutes a genetic defect. It is often argued that this is more a matter of social or individual choice. What appears to be a genetic defect in one context or environment may not be so in another. This can be the case for genes with a heterozygote advantage, such as sickle-cell disease or Tay-Sachs disease, which in their heterozygote form may offer an advantage against, respectively, malaria and tuberculosis. Although some birth defects are uniformly lethal, disabled persons can succeed in life. Many of the conditions early eugenists identified as inheritable (pellagra is one such example) are currently considered to be at least partially, if not wholly, attributed to environmental conditions. Similar concerns have been raised when a prenatal diagnosis of a congenital disorder leads to abortion (see also preimplantation genetic diagnosis). Early eugenists were mostly concerned with perceived intelligence factors that often correlated strongly with social class. Some of these early eugenists include Karl Pearson and Walter Weldon, who worked on this at the University College London. Many eugenists took inspiration from the selective breeding of animals (where purebreds are often striven for) as their analogy for improving human society. The mixing of races (or miscegenation) was usually considered as something to be avoided in the name of racial purity. At the time, this concept appeared to have some scientific support, and it remained a contentious issue until the advanced development of genetics led to a scientific consensus that the division of the human species into unequal races is unjustifiable. Edwin Black, journalist and author of War Against the Weak, claims eugenics is often deemed a pseudoscience because what is defined as a genetic improvement or a desired trait is often a cultural choice rather than a matter that can be determined through objective scientific inquiry. The most disputed aspect of eugenics has been the definition of "improvement" of the human gene pool, such as what is a beneficial characteristic and what is a defect. This aspect of eugenics has historically been tainted with scientific racism. The term eugenics is often used to refer to movements and social policies influential during the early 20th century. In a historical and broader sense, eugenics can also be a study of "improving human genetic qualities". It is sometimes broadly applied to describe any human action whose goal is to improve the gene pool. Some forms of infanticide in ancient societies, present-day reprogenetics, preemptive abortions, and designer babies have been (sometimes controversially) referred to as eugenic. Because of its normative goals and historical association with scientific racism, as well as the development of the science of genetics, the western scientific community has mostly disassociated itself from the term "eugenics", although one can find advocates of what is now known as liberal eugenics. Despite its ongoing criticism in the United States, several regions globally practice different forms of eugenics. Eugenics has, from the very beginning, meant many different things. Historically, the term has referred to everything from prenatal care for mothers to forced sterilization and euthanasia. To population geneticists, the term has included the avoidance of inbreeding without altering allele frequencies; for example, J. B. S. Haldane wrote that "the motor bus, by breaking up inbred village communities, was a powerful eugenic agent". Debate as to what exactly counts as eugenics has continued to the present day. Some types of eugenics deal only with perceived beneficial or detrimental genetic traits. These types have sometimes been called "pseudo-eugenics" by proponents of strict eugenics. Some, such as Nathaniel C. Comfort from Johns Hopkins University, claim that the change from state-led reproductive-genetic decision-making to individual choice has moderated the worst abuses of eugenics by transferring the decision-making from the state to the patient and their family. Comfort suggests that "[t]he eugenic impulse drives us to eliminate disease, live longer and healthier, with greater intelligence, and a better adjustment to the conditions of society; and the health benefits, the intellectual thrill and the profits of genetic bio-medicine are too great for us to do otherwise." Others, such as bio-ethicist Stephen Wilkinson of Keele University and Honorary Research Fellow Eve Garrard at the University of Manchester, claim that some aspects of modern genetics can be classified as eugenics, but that this classification does not inherently make modern genetics immoral. In a co-authored publication by Keele University, they stated that "[e]ugenics doesn't seem always to be immoral, and so the fact that PGD, and other forms of selective reproduction, might sometimes technically be eugenic, isn't sufficient to show that they're wrong." Developments in genetic, genomic, and reproductive technologies at the end of the 20th century are raising numerous questions regarding the ethical status of eugenics, effectively creating a resurgence of interest in the subject. Some, such as UC Berkeley sociologist Troy Duster, claim that modern genetics is a back door to eugenics. This view is shared by White House Assistant Director for Forensic Sciences, Tania Simoncelli, who stated in a 2003 publication by the Population and Development Program at Hampshire College that advances in pre-implantation genetic diagnosis (PGD) are moving society to a "new era of eugenics", and that, unlike the Nazi eugenics, modern eugenics is consumer driven and market based, "where children are increasingly regarded as made-to-order consumer products." In a 2006 newspaper article, Richard Dawkins said that discussion was inhibited by the shadow of Nazi misuse, to the extent that some scientists would not admit that breeding humans for abilities was at all possible, but in his view this was not physically different from breeding domestic animals for traits such as speed or herding skill. He felt that enough time had elapsed to at least ask just what the ethical differences were between breeding for ability versus training athletes or forcing children to take music lessons, though he could think of persuasive reasons to draw the distinction. By the end of World War II, many of the discriminatory eugenics laws were largely abandoned, having become associated with Nazi Germany. After World War II, the practice of "imposing measures intended to prevent births within [a population] group" fell within the definition of the new international crime of genocide, set out in the Convention on the Prevention and Punishment of the Crime of Genocide. The Charter of Fundamental Rights of the European Union also proclaims "the prohibition of eugenic practices, in particular those aiming at selection of persons". In spite of the decline in discriminatory eugenics laws, government practices of compulsive sterilization continued into the 21st century. During the ten years President Alberto Fujimori led Peru from 1990 to 2000, allegedly 2,000 persons were involuntarily sterilized. China maintains its forcible one-child policy in order to reduce population size and dysgenic fertility, and in 2007 the United Nations reported forcible sterilisations and hysterectomies in Uzbekistan. During the years 2005–06 to 2012–13, nearly one-third of the 144 California prison inmates who were sterilized did not give lawful consent to the operation. In 2013, under Benjamin Netanyahu, the Israeli government acknowledged use of Depo-Provera on Ethiopian Jews without their knowledge or consent. As a social movement, eugenics reached its greatest popularity in the early decades of the 20th century. At this point in time, eugenics was practiced around the world and was promoted by governments, and influential individuals and institutions. Many countries enacted various eugenics policies and programmes, including: genetic screening, birth control, promoting differential birth rates, marriage restrictions, segregation (both racial segregation and segregation of the mentally ill from the rest of the population), compulsory sterilization, forced abortions or forced pregnancies, and genocide. Most of these policies were later regarded as coercive or restrictive, and now few jurisdictions implement policies that are explicitly labelled as eugenic or unequivocally eugenic in substance. The methods of implementing eugenics varied by country; however, some early 20th century methods involved identifying and classifying individuals and their families, including the poor, mentally ill, blind, deaf, developmentally disabled, promiscuous women, homosexuals, and racial groups (such as the Roma and Jews in Nazi Germany) as "degenerate" or "unfit", the segregation or institutionalization of such individuals and groups, their sterilization, euthanasia, and their mass murder. 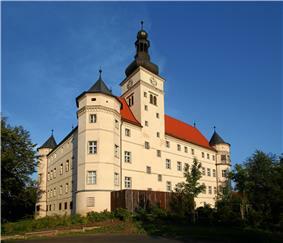 The practice of euthanasia was carried out on hospital patients in the Aktion T4 centers such as Hartheim Castle.